Over the past decade or so, the fashion has been for reality television and fantasy fiction. There’s so much reality on television that readers have clearly decided to give it a wide berth in their fiction. They’ll consume reality in book from all right, but mostly, it’s non fiction. But in recent times, the winds of change are beginning to stir. The robust realistic novel, telling a straight story in real time, is making a slow comeback. You’ve got books like The Art of Fielding by Chad Harbach, Capital by John Lanchester and Canada by Richard Ford. These books don’t get anything like the press enjoyed by the fantasy franchises, the latest being Fifty Shades of Grey. I have to admit I’m cheering at this. These are the kinds of books I love to read. And they’re the kind of books I aim to write. So I’m going to fly the flag for reality fiction – and blow the myths that surround it. In the hands of a really great writer, the world you live in becomes a world of wonder. It’s the job of a writer to find the extraordinary within the ordinary and help you see it too. Besides, the reality they depict is often a lot more interesting and rich with possibilities than the one we actually live in. Good writing is never depressing. It may deal with a sad theme, but when a book is well written, you’ll leave it feeling uplifted. Good reality fiction holds a mirror up to society, helping you to gain insights into the human condition.. You’ll finish the book comforted in the knowledge that whatever you experience in live, you are not alone. You could get material forever just by exploring the dynamics between people. Think about a family gathering; all the simmering tensions, the people pretending to get on, the secrets hidden. In reality fiction, you can really get under the skin of life. Telling a straight story is a lot harder than it looks. It’s easy to hide behind linguistic tricks. Engaging your audience and holding their attention is an increasingly rare talent, but it’s where reality writers excel. All right, it doesn’t sell in the way fantasy fiction does, but you will still see a reality fiction book int he Top 10 every week. Trends rise and fall, but there’s always room for a straightforward story, well told. Do you too enjoy the rigours of reality? Or do you prefer to escape into a fantasy world? If so, please feel free to share your thoughts. When I’m giving creative writing classes, I think it’s important to waken up the senses. It blows off the dust of everyday life and gets everyone in the mood for writing. And there’s no better way to set your senses on fire than eating an orange. I bring a punnet of small oranges into class and ask students to write about the experience of eating an orange. Oranges: a fruit that help writers to awaken their senses. Oranges work all five of your senses. The skin feels rough under your fingers as you peel. Peeling releases that sharp, sweet orange smell. The sensation of breaking through the skin of the orange itself can be a little icky. Then you put a segment in your mouth and hear the slight pop as you bite through the outer layer. And finally, your mouth floods with tangy juice. Oranges are a fruit that demand to be noticed. I have yet to meet a student who is non committal about oranges. Their reactions tend to be mixed. Some people relish the experience and actually start eating the orange, which I encourage. Others have a horror of being sticky. And a surprising number can’t eat oranges for medical reasons. Why would I mess with my students’ heads in this way? First of all, writing about sensations you don’t entirely like is a far more interesting challenge and produces more vivid writing. Secondly, the senses are a portal to your emotions and memories. 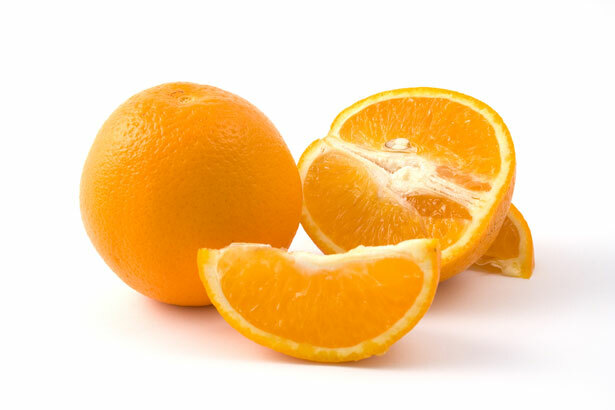 Eating an orange helps students tap into incredibly strong memories. A lot of these memories are sunkissed. People recall holidays in foreign climes, picking oranges straight from the tree. For older people, oranges are still symbols of unimaginable luxury. Others are slightly more troubled; some had oranges thrust upon them and some were horrified at the mess eating an orange made. In writing, you have to show a bit of guts. You have to risk being sticky. If you want to tap into some rich writing material, get your hands dirty and eat an orange. Then see what memories the orange evokes. It doesn’t have to be an orange memory; any food-related memory counts. When it comes to deciding what to write, writers fall into two camps. The first is the Maeve Binchy camp. 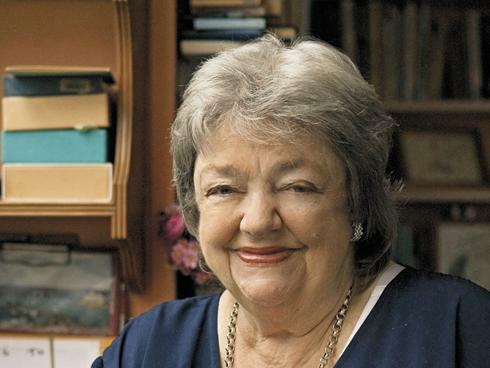 Maeve Binchy made no secret of the fact that her fiction was entirely based on things she had experienced. She felt that if she hadn’t experienced something, she had no business writing about. And it was clear that she found quite enough material in her own life to draw from. I respect John Connolly’s view. Let’s face it, our own lives are really only interesting to us. And one of the great privileges of being a writer is to get under the skin of other people’s lives, to experience lives that are completely different from our own. These writers create very compelling books. But I come down in the Binchy camp, because I don’t believe you can ever escape yourself. Even in books which don’t appear to resemble the author’s life in any way, the author’s experience leaks in. John Boyne, who’s also in the Connolly camp, writes about a wartime love affair between two men. Who can say what influence his own sexual orientation had in his choice? Equally, the scriptwriter for Gladiator was going through a marriage breakup while writing the script, which may explain why Maximus was parted from his love. Some literary critics give off the vibe that writing about what you know is lazy, self absorbed and indicates a lack of experience. But no one criticises Stephen King for setting all his books in Maine, or Colm Toibin for writing about Enniscorthy, his home town. But writing what you know still comes with a huge challenge – to write about your own life in a way that speaks to other people. That’s what I aimed to do with The Pink Cage. I had things I yearned to say about what it’s really like to be visually impaired. I hoped that by writing the book would let other people know what it was like and give them food for thought. Writing what you know gives you a chance to process what you’ve experienced and make it universal. What camp do you fall into? The Binchy or the Connolly camp? I held a crumpled piece of paper in my hand. A Dublin phone number was written on it, along with a name. Maeve Binchy. I took a deep breath and rang it, expecting to battering-ram my way through a phalanx of publicity girls. A voice answered, friendly and instantly familiar. I nearly dropped the phone. Easy knowing I’m more of a writer than a journalist. I’ve always been too star struck for my own good. 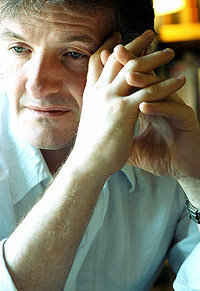 But this was the writer I returned to again and again when I was fed up with reading flashier books. Dipping into her books was like climbing into a hot bath after a cold day. What can I say that anyone else hasn’t said, about her winning combination of great dialogue, big-hearted characters and gentle wisdom. I was writing an article for Writer’s Forum Magazine about the value of creative writing courses. I wanted to find a writer who had not achieved brilliant success without the aid of a writer’s course. In an article for The Writer’s and Artist’s Yearbook, she had said that no publisher’s going to creep into your bedroom and pluck out your Booker Prize-winning manuscript. She was definitely going to be in favour of the no-nonsense approach. This being Ireland, I had a tenuous connection to her that enabled me to bypass the publicity machine. Still, I had never expected it to be this easy. At this stage, I felt that having a mallet nearby would be useful. I could have hit my head repeatedly with it. At least I wouldn’t sound like a four year old. Though in my defence, I did manage to avoid gushing. Anyway, I managed to gabble out my request and she warmly agreed. She said I could ring her back the following week with my questions, which I had been too superstitious to make up in advance. Any time between 9am and 10am. I put down the phone, my head spinning. That shouldn’t have been so easy. I duly rang up the following Tuesday. Got the same friendly hello. Then she said. Words of sympathy and protest bubbled up in my mouth; I couldn’t possibly do it now. She cut them short. As I ploughed earnestly through my list of questions, my nerves finally began to dissipate. Maeve dropped casual gems into the conversation, about listening to conversations on crossed wires and braving the boredom of teenage girls. Her views on creative writing courses were more benign than I expected. She hadn’t done any simply because there were none in Dublin during her formative writing years. No doubt due to her modesty, people don’t realise how much Maeve Binchy actually did for aspiring writers. She compiled a book called The Maeve Binchy Writing Club, which gathered the wisdom of Ireland’s top women writers into one place. She also gave writing courses to teenagers as part of an Irish Times scheme. As I suspected though, she did ultimately feel that there was no substitute for getting on with it. Her suggestion of writing 10 pages a week is attainable for any writer – it’s a little over a page a day. She did feel that writing courses could work, as long as they didn’t turn into a talking shop. I was thrilled at the insights I’d received, until the next week, when I heard her being interviewed on radio. She was asked very similar questions and gave very similar answers. But, as she did with me, she answered them as if she was being asked for the very first time. One thing I did notice once I’d got over my star-fever was how often she used the word ‘you’ in conversation. It’s something I’ve noticed in her books as well. ‘You’ is a word that conveys generosity and inclusiveness. And to me, it symbolises Maeve Binchy. I’d love to hear your thoughts about her? What were your favourite books of hers?